Kaga Kanko Hotel is situated by Shibayama-gata Lagoon in Katayamazu hot spring resort, Kaga City, Ishikawa Prefecture, in the Hokuriku region of Japan. 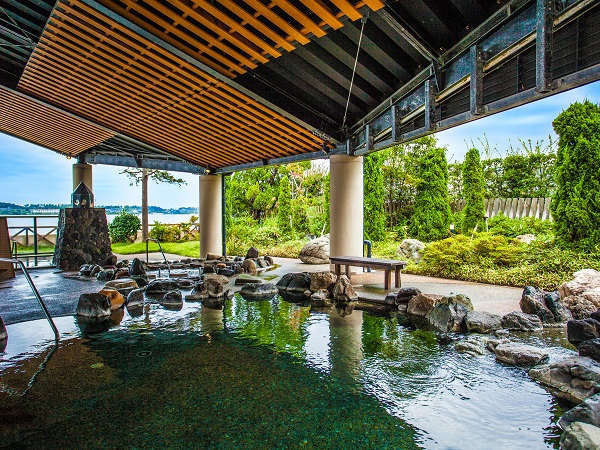 Due to the location, the hotel offers superb views of the local nature, as well as 22 different kinds of onsen hot spring baths. Kaga City is famous for having many highly-acclaimed golf courses with high-quality facilities and excellent course layouts. 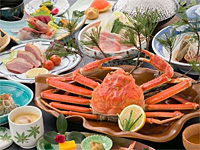 Come enjoy our relaxing onsen, delicious food, and golf courses in a wonderful natural setting. The Hokuriku Shinkansen line, which is currently called the Nagano Shinkansen running between Takasaki and Nagano, is scheduled to be extended to Kanazawa in 2015. A free shuttle service is available from JR Kagaonsen Station. 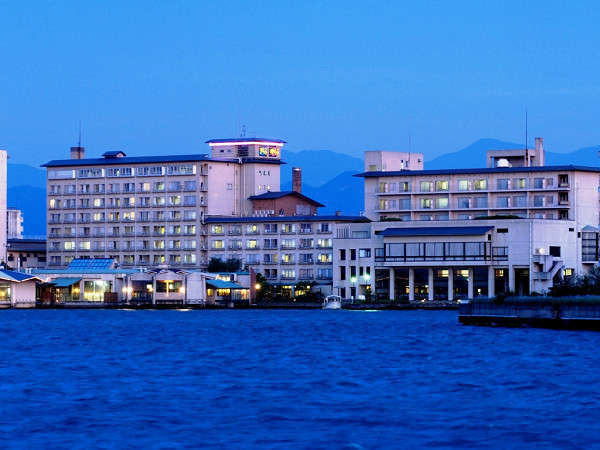 We have various leisure facilities, including karaoke, table tennis, and a game arcade, offering you an opportunity to enjoy the unique atmosphere of a Japanese-style hotel at an affordable price. Free Wi-Fi access is available around the lobby. With all the guest rooms facing the lagoon, we offer our guests beautiful seasonal views of the lagoon. Please choose your guest room from two different types of buildings for your preference and convenience: the standard-class Yurara-kan building; and the superior-class Kirara-kan building with upgraded views and room accommodations. We also have guest rooms with a private open-air bath. Our baths are filled with 100% natural hot spring water, without the addition of outside water. 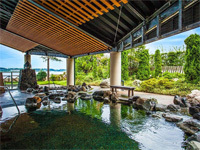 Our 22 natural hot spring baths, including an open-air bath with a panoramic view of the lagoon and a bath in a mystical atmosphere, have established a very good reputation from our guests, even from our discriminating Japanese guests. Private baths are also available upon request. We serve delicious rice cooked with the pure water of Kaga and colorful Kaga vegetables filled with nutrients from mother earth, as well as fresh seasonal fish and seafood. The Hokuriku Shinkansen Line is scheduled to be extended to Kanazawa in 2015, making access from Tokyo easier and more convenient. 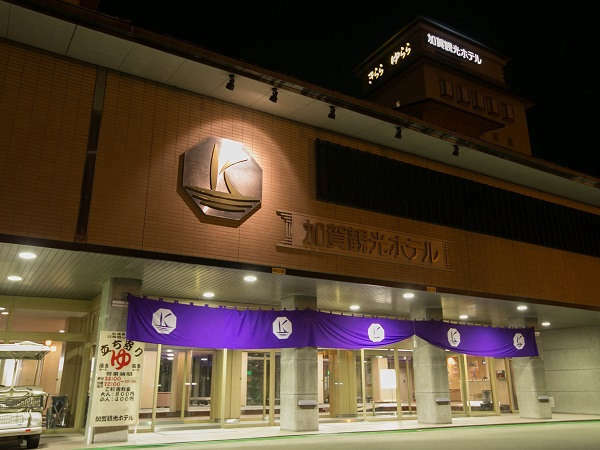 We offer a free shuttle service from JR Kagaonsen Station. 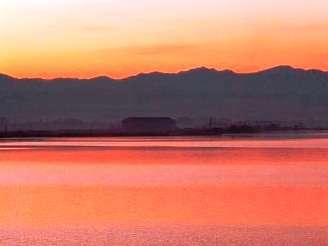 If you are planning to explore Kaga and Hokuriku, we are the perfect base for you. 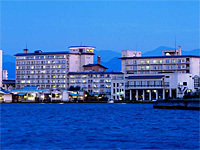 Copyright © Kaga Kanko Hotel. All Rights Reserved.